Britain should consider a military intervention in Libya, the former head of MI6 has suggested, following the beheading of 21 Coptic Christians by militants linked to the Islamic State in the North African state. 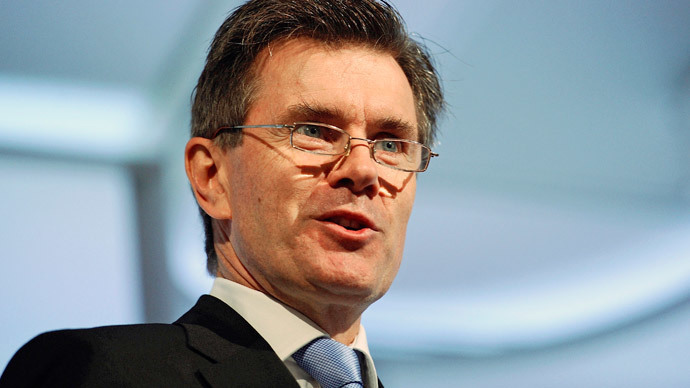 Sir John Sawers called for a debate about military action in Libya. He said the country had descended into “growing chaos” after Britain joined US airstrikes to bring down Colonel Muammar Gaddafi's regime. Although the intervention brought about the overthrow of Gaddafi in 2011, the country was left isolated in the aftermath, without any foreign assistance to foster stability. “After Gaddafi was ousted, no one held the ring to help manage a transition to something better, as the US, Britain and other allies had done in Baghdad and Kabul,” Sir John said in a speech at King’s College, London. Egypt has launched airstrikes against Islamic State targets in Libya after militants released a video showing the beheading of 21 Egyptian Coptic Christians, who the group had held hostage for weeks. Sir John, who stepped down as Britain’s spymaster last year, said Britain needs to hold a debate on whether it’s wise to intervene, given the UK’s troubled interventions in Iraq and Afghanistan. “In the wake of Iraq and Afghanistan Britain is pulling back from international intervention, just as America pulled back after the Vietnam War,” said Sawers. Islamist extremism across the Middle East and the recent terrorist events in Paris and Copenhagen has had a disastrous effect on Muslims, he said. Sawers further claimed the problem could only be solved by the Islamic world itself. He said the UK must remain “steadfast” in efforts to defeat the Islamic State and bring a political transition in Libya through the UN. Meanwhile, the Egyptian ambassador to the UK, Nasser Kamel, told the BBC Libya was a problem for Europe because of its proximity to the continent. Egyptian Coptic Christians are the largest Christian community in the Middle East, with an estimated 10-15 million members in Egypt – around 10 percent of the population. There are around 20,000 Coptic Christians living in Britain. Father Antonious Thabet, a priest at St Mark’s church in Kensington, told the Guardian: “We are very scared, some people in my congregation have said they are scared to be in the UK – these people are everywhere.